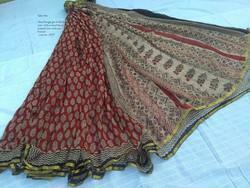 Our range of products include hand bloc printed chiffon saree, chiffon saree and chiffon sarees. 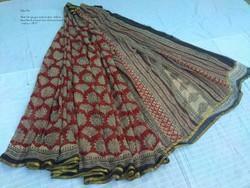 We have been able to serve our valued clients with a comprehensive range of ladies CHIFFON SAREEE IN HAND BLOCK PRINTED . 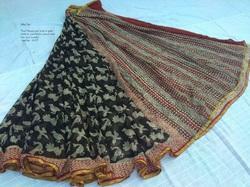 These cotton fabric are suitable to be worn in any weather and give optimum comfort. Our range is available in lively colors that suits best with the choice of our esteemed clients. Features: colour fastness reliable durable. 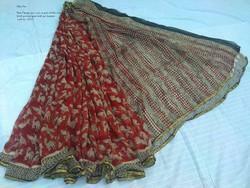 Keeping in mind latest market requirements, we are offering our clients a superior collection of Chiffon Saree. 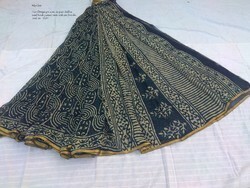 For designing this fabric we use optimum quality threads which add one more feature on its quality. 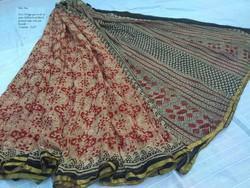 Our given fabric is made according to the latest fashion trend and provided in bulk quantity. We check our gamut of fabrics on predefined standards which is set by the industry. 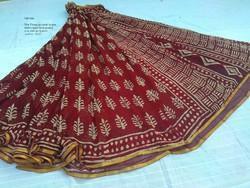 Also, our customer can take these fabrics at nominal rates.